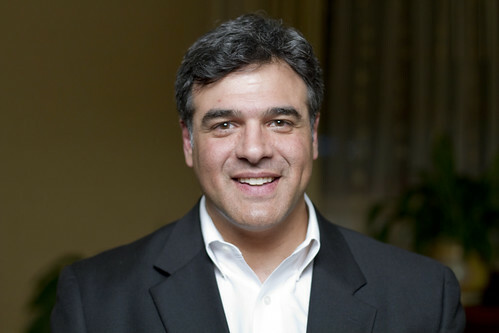 A federal grand jury in Alexandria, Virginia, indicted former CIA agent John Kiriakou for releasing classified information to journalists that included the identities of a “covert CIA officer” and information on the role of “another CIA employee in classified activities.” The Justice Department charged him with one count of violating the Intelligence Identities Protection Act and three counts of violating the Espionage Act, along with a count for “allegedly lying to the Publications Review Board of the CIA” so he could include classified information in his book. This is the official explanation for why Kiriakou is being charged, however, many recall he went public in 2007 and spoke out about the CIA’s waterboarding of Abu Zubaydah in an ABC News broadcast. He did not oppose the “enhanced interrogation technique,” which was used on Zubaydah 83 times. He asserted the technique had worked and he was glad it had been used. But he also called waterboarding “torture” and wondered why this is what America had to do to be “safe,” leading many to consider him a whistleblower. The charges result from an investigation that was triggered by a classified defense filing in January 2009, which contained classified information the defense had not been given through official government channels, and, in part, by the discovery in the spring of 2009 of photographs of certain government employees and contractors in the materials of high-value detainees at Guantanamo Bay, Cuba. The investigation revealed that, on multiple occasions, one of the journalists to whom Kiriakou is alleged to have illegally disclosed classified information, in turn, disclosed that information to a defense team investigator, and that this information was reflected in the classified defense filing and enabled the defense team to take or obtain surveillance photographs of government personnel. There are no allegations of criminal activity by any members of the defense team for the Guantanamo Bay detainees. Add to that the tacked on charge of attempting but failing to “trick” the Publications Review Board into letting him publish classified information, the case seems to be wholly motivated by politics and retribution. This prosecution further chills the climate making it even more difficult for journalists to get sources to talk to them for national security stories. It also sends a message to former government employees to not talk to or share information with Guantanamo defense attorneys. His book also showed CIA torture to be regularly used so it sends a message to former employees involved in the “war on terror” to be careful what they publish on counterterror operations for public consumption. Kiriakou is the sixth person to be indicted under the Espionage Act by the Obama Administration. The previous five, all targeted in the span of a year, were: former NSA employee Thomas Drake, who shared details on the agency’s warrantless wiretapping program; former CIA officer Jeffrey Sterling, who was charged with providing information with New York Times reporter James Risen on an operation that might have led to Iran getting information on how to build a nuclear bomb; former FBI linguist Shamai Leibowitz, who received twenty months in prison for who knows what exactly; former State Department arms expert Stephen Kim, who under assignment shared information with Fox News reporter James Rosen on North Korea’s possible response to criticism of the country’s nuclear program; and Pfc. Bradley Manning, who allegedly leaked classified information to WikiLeaks that included the “Collateral Murder” video, Afghan and Iraq War Logs, the US State Embassy cables, etc. Peter Van Buren, another victim in the war on whistleblowing whom the State Department recently moved to fire for linking to a WikiLeaks cable in a blog post and publishing a tell-all book on the State Department’s Iraq reconstruction program, called the crackdown on whistleblowers “free speech hypocrisy.” The US government condemns other countries like China, Iran or Syria for cracking down on journalists and others who speak out, but Americans who speak out here at home are harshly prosecuted. The use of the Espionage Act to go after individuals who have shared information with journalists or media organizations is a stunning attack on speech and press freedom. It is a calculated effort to make an example out of these individuals so that current and former employees do not get in the way of the work of agencies or departments in the US government. But, more importantly, this is where the Obama Justice Department is investing resources. Has the Justice Department prosecuted bank executives that engaged in massive fraud that helped create the economic collapse in 2008? Are they investing resources and taking risks to get these individuals? What about the people who committed war crimes, like torture? Is the Department going after these individuals or are they just interested in the people who blew the whistle on war crimes, including torture? Are Justice Department employees focused on ensuring there is no challenge by former government employees to the national security industrial complex of America? The Obama Administration will spend capital to push the limits for prosecutions under the Espionage Act. It won’t spend capital to push the limits for prosecutions of people who violated the Convention Against Torture or other treaties and legislation, which prohibits the cruel and inhuman treatment of individuals detained and interrogated in prison. To read the full indictment against former CIA agent John Kiriakou, go here. This is the official explanation for why Kiriakou is being charged; however, many recall he went public in 2007 and spoke out about the CIA’s waterboarding of Abu Zubaydah in an ABC News broadcast. He did not oppose the “enhanced interrogation technique,” which was used on Zubaydah 183 times. He asserted the technique had worked and he was glad it had been used. But he also called waterboarding “torture” and wondered why this is what America had to do to be “safe,” leading many to consider him a whistleblower.